This is a guide to the professional literature of the field of System Administration. This document does not include practice exercises. However, practical experience is essential to success in the field. The student is encouraged to practice. Thanks for help in compiling this list to: Jonah Sinowitz, Eric Sorenson, Mark Burgess, Shahab Shawn Sheikhzadeh, Willard Dennis, Kyrre Begnum, david t. klein, Avleen Vig, William van Hevelingen. Comments welcome! Email the editors at feedback@sabok.org or join us in the ops-education group. The materials should be studied and practiced in sequence. Core contains essential reading - the fundamentals of the field. Normative literature attempts an overview of normative literature - publications that lay out the norms of the field, or what is generally agreed upon (i.e. best practices). Norms and standards are essential for professionalization. Advance your knowledge using the Advanced Study list. Burgess, Mark. 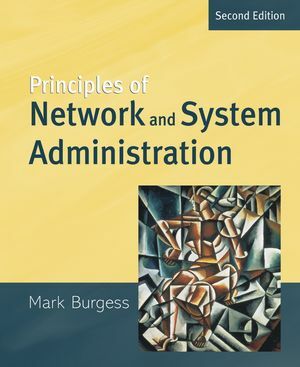 Principles of Network and System Administration, 2nd ed.. Hoboken, NJ: Wiley, 2004. Print. This is a introductory college text, written by the creator of a well-known configuration management tool (CFEngine) while he was teaching Systems Administration at Oslo University College in Norway. Limoncelli, Thomas A., Christine Hogan, and Strata R. Chalup. The Practice of System and Network Administration: Volume 1, 3rd ed. Addison-Wesley, 2016. Print. Limoncelli, Thomas A., Christine Hogan, and Strata R. Chalup. The Practice of Cloud System Administration: Volume 2. Addison-Wesley, 2014. Print. Smith, Roderick W. Linux Essentials Indianapolis, IN: Wiley, 2012. Print. An introduction to Linux and Open Source. Elsner, Tobias et al. Linux Essentials: The LPI Introductory Programme Darmstadt, Germany: Linup Front, 2012. An alternative introduction to Linux and Open Source. 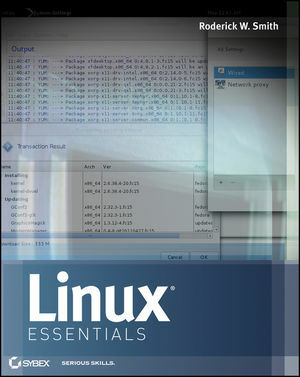 Courseware for LPI Linux Essentials program. Free for non-commercial use. A complete introduction to the Linux Command Line. 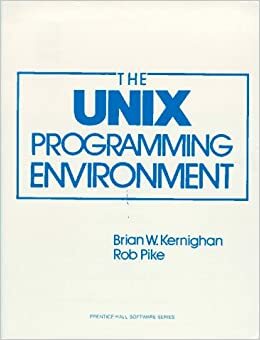 We have started to recommend this book instead of the dated "The UNIX Programming Environment". Available in PDF and print versions. Nemeth, Evi et al. Unix and Linux System Administration Handbook, 4th ed. Upper Saddle River, NJ: Prentice Hall, 2012. Print. Frisch, Æleen. Essential System Administration, 3rd ed. Sebastopol, CA: O’Reilly, 2002. Print. The FreeBSD Documentation Project, The FreeBSD Handbook Online: 2013. Solter, Nicholas A., Jerry Jelinek, David Miner. 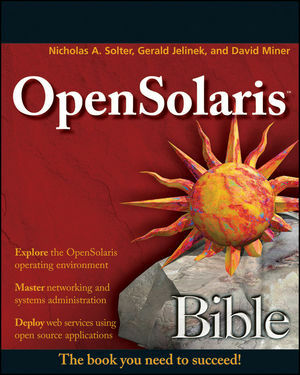 OpenSolaris Bible Hoboken, NJ: Wiley, 2009. Kernighan, Brian W., and Rob Pike. The UNIX Programming Environment. Englewood Cliffs, NJ: Prentice-Hall, 1984. Print. Chapters 1 - 6 introduce a new user to UNIX. If you want to make sure your fundamentals are fully established, go back to the source, the origin of UNIX. Robbins, Arnold, Elbert Hannah, Linda Lamb, and Linda Lamb. Learning the vi and Vim Editors: Text processing at maximum speed and power, 7th ed. Sebastopol, CA: O’Reilly Media, 2008. Print. vi is a standard UNIX text editor, and vim is it’s modern incarnation. Stallman, Richard, et al. GNU Emacs Manual. Boston: Free Software Foundation, 2013. Online. GNU Emacs is the "the extensible, customizable, self-documenting, real-time display editor." Zamboni, Diego. Learning CFEngine 3. Sebastopol, CA: O’Reilly, 2012. Krum, Van Hevelingen, Kero, Turnbull, McCune. Pro Puppet. New York, NY: Apress, 2013. Tulloch, Mitch. Training Guide: Installing and Configuring Windows Server 2012. Redmond, WA: Microsoft Press, 2012. Stanek, William R. Windows Server 2012 Pocket Consultant. Redmond, WA: Microsoft Press, 2012. Desmond, Brian; Joe Richards, Robbie Allen, Alistair Lowe-Norris. Active Directory, 5th Edition, Sebastopol, CA: O’Reilly, 2013. Print. Generally accepted as the best book on Microsoft Active Directory, which is Microsoft’s implementation of LDAP + Kerberos. Kouti, Sakari and Mika Seitsonen. Inside Active Directory: A System Administrator’s Guide, (2nd Ed.) Boston: Addison-Wesley Professional, 2004. Print. An older classic on AD, goes into the internals. Jones, Don and Jeffery Hicks. Learn Windows PowerShell 3 in a Month of Lunches, Greenwich, CT: Manning, 2013. Print. "This book is a tutorial designed for busy administrators. Just set aside one hour a day for a month and you’ll learn all the practical techniques you need to make your job easier and your day shorter. This totally revised second edition covers new PowerShell 3 features designed for Windows 8 and Windows Server 2012. Experience with Windows administration is helpful. No programming experience is assumed." 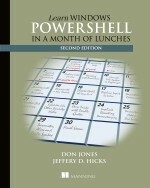 The first edition (Learn Windows PowerShell in a Month of Lunches) covers PowerShell v2.0. Soft skills are increasingly recognized as essential to success in system administration. Working with people. This includes communication (including writing RFPs, presenting, etc. ), project management, time management, persuasion, leadership, cooperation, business alignment, learning how to learn (and teach), etc. Ops Report Card by Tom Limoncelli and Peter Grace. On Designing and Deploying Internet-Scale Services by James Hamilton, LISA 1997 paper This paper summarizes a set of best practices for designing and developing operations-friendly services. "Handbook of Network and System Administration", Edited by Jan Bergstra and Mark Burgess. November 2007. Burgess, Mark. Analytical Network and System Administration. This is a very advanced text. Burgess, Mark. Exercises for Analytical Network and System Administration. Schlossnagle, Theo. Scalable Internet Architectures Sams Publishing, 2006. Print. Allspaw, John and Jesse Robbins. Web Operations: Keeping the Data On Time Sebastopol, CA: O’Reilly, 2010. Print. Moskowitz, Adam. "The Path to Senior Sysadmin" talk. USENIX LISA Conference, 2010. Kim, Gene, Kevin Behr, and George Spafford. The Phoenix Project: A Novel about IT, DevOps, and Helping Your Business Win. Portland, OR: IT Revolution, 2013. Print. Kim, Gene, Paul Love and George Spafford. Visible Ops Security IT Process Institute, 2008. Print. Behr, Kevin, Gene Kim, and George Spafford. Visible Ops Handbook IT Process Institute, 2005. Print. Kurose, James F. and Keith W. Ross. Computer Networking: A Top Down Approach 5th Ed. Pearson, 2010. Print. ?? Need something for troubleshooting ? ?